For over four years, Masters of the Universe had its own newspaper comic strip! This story continued the tales from the Filmation cartoon and bridged the saga to the space-themed New Adventures of He-Man cartoon relaunch. The comic strip only ran in selected newspapers and was never reprinted, so most fans have never read it . . . until now! For the first time ever, Dark Horse brings you a collection of these strips, restored and ready for you to unleash the power! 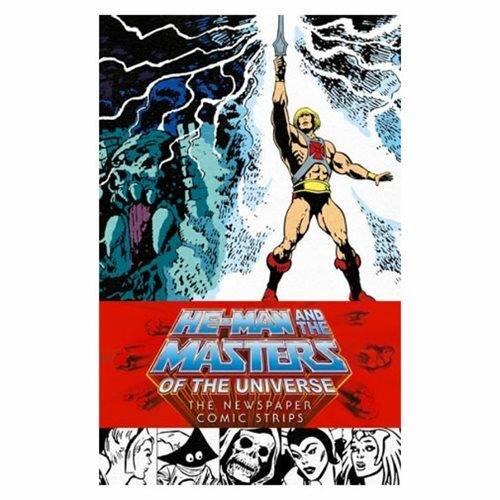 The He-Man and the Masters of the Universe: The Newspaper Comic Strips Hardcover Book has 514 pages of action and adventure.